#ItagosiLiza is trending online, and we clearly know why! 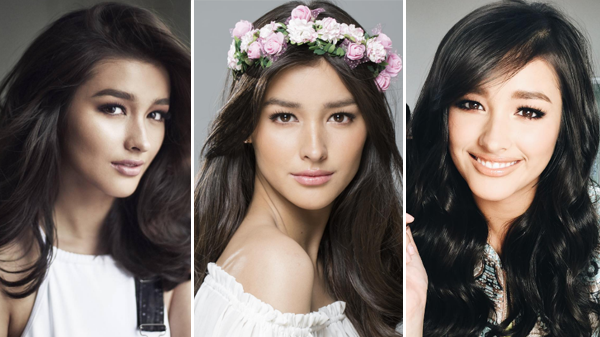 MANILA, Philippines – It’s no puzzle that young Liza Soberano is one of the country’s most beautiful faces. The alluring beauty of the ‘Dolce Amore’ star even got some international artists and celebrities take a second look! First on the list is “The Vamps” lead guitarist James Mcvey whom admitted in an interview that he personally invited the 18-year-old star thought a text message to attend their concert last January on the Mall of Asia Arena. Which the young star gladly gone to—with on-screen partner Enrique Gil and some friends. Even the “Marvin Gaye” singer Charlie Puth whom recently performed on Kia Theater last August 14, got smitten to Soberano’s beauty. After, Puth invited her via Twitter to come to his concert! But apparently, the young star has other plans and can’t make it. The consecutive international artists crushing on Soberano got the fans overwhelmed that the trend #ItagoSiLiza went viral with funny posts to hide the young star from anymore international artist heading to perform to the country. The trend got even more hilariously-serious after “The Chainsmokers” performed last weekend on the MOA Arena. Tweeting an apparent ‘love triangle’ with Charlie Puth whom formerly declared his attraction to Soberano. breaking news. there is a new tourist spot here in the philippines named liza soberano.